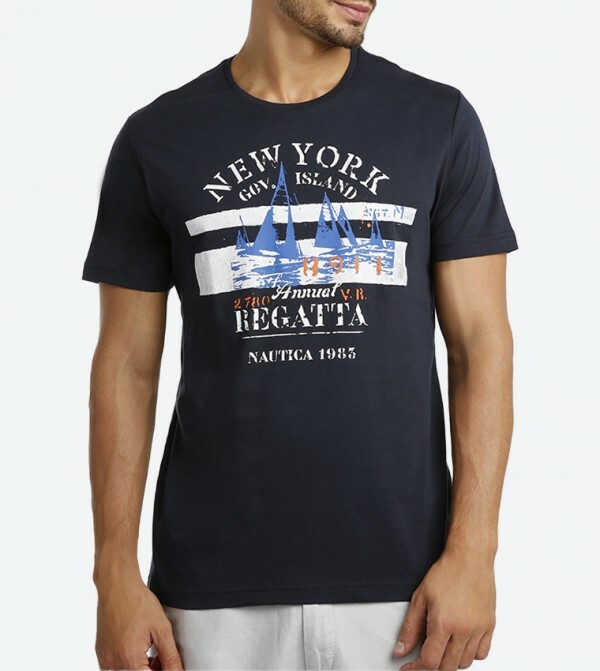 Let your love for fashion shine through as you slip into this blue T-shirt from Nautica that showcases a vibrant hue and a contrast colored graphic print of sail boats on the front. It has a crew neck and a self pattern all over that makes it highly stylish and also allows the ease of wearing. This T-shirt can be teamed with a pair of matching jeans and sneakers.